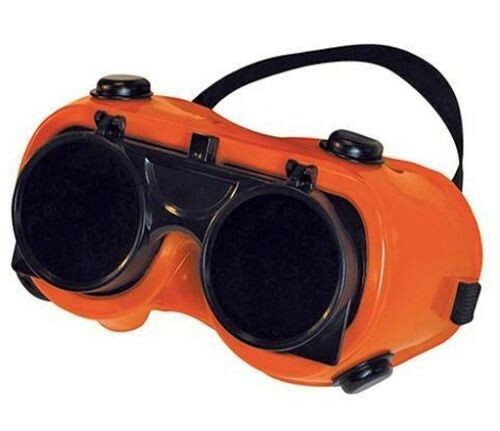 Brand New Welding Goggles Clear polycarbonate safety lens with soft flexible frame and elasticised head strap. No. 5 green shade flip-up lens for easy switching from welding to chipping. Indirect ventilation. For gas welding and plasma cutting environments. EN175:1997.